If you’re on the market for a smart speaker with Amazon Alexa built-in, the options are greater than ever before. 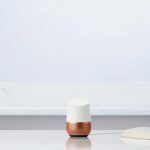 Not so long ago, it was definitely the case that your choices were pretty limited when it came to finding a smart speaker system that included Amazon’s voice activated intelligence. In fact, if you were looking to capitalize on Alexa’s voice control smarts, you were almost certainly going to have to do so through one of Amazon’s native range of smart speakers, led by the Echo family of devices. With a huge increase in the number of third-party brands providing Alexa on-board smart speaker options, the ability to build a voice controlled smart home around a speaker system with Alexa built-in has become easier than ever. The best Amazon Alexa enabled speakers allow you to carry out anything from catching up with the news or listening to your favorite songs, to controlling the smart lights in your home or finding out what the weather’s got in store for you before you set out in the morning. It was once the case that owning a smart speaker ultimately meant sacrificing on audio quality in exchange for a device that could listen to and understand you – more smart, less speaker. 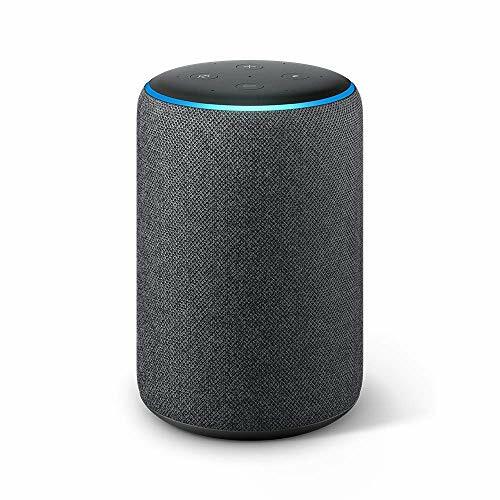 The original generations of Amazon’s Echo devices included Alexa built-in as standard, but were somewhat lacking in the audio output department, really requiring connection to a dedicated speaker system to benefit from high quality audio. This has now changed in a big way though, thanks largely to two main developments: vastly improved sound quality from Amazon’s native Alexa devices, and the ability for third-party manufacturers to implement Alexa into their speakers. The second of these two developments has seen brands with a real pedigree in audio excellence (think Bose, Sonos, Marshall etc) enter the smart home scene, integrating Alexa’s intelligence into high-end performance hardware for delivering a high-quality audible experience. 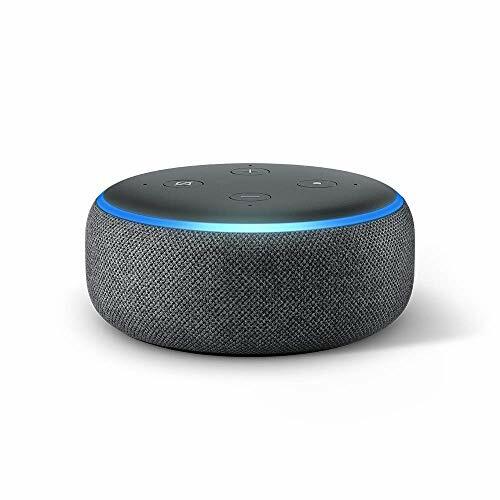 Amazon’s own brand of smart speaker system primarily comes in the form of the excellent Echo range of voice activated devices, all of which have Alexa built in as standard. 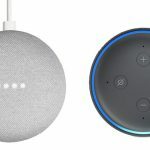 With the latest generations of Amazon’s smart speaker lineup ranging from the pocket-sized Echo Dot to the visually centered Echo Show, the latest devices in the Echo family all benefit from vastly improved sound output capabilities putting them on-par with some of the best third-party speakers out there. The latest generation of the Alexa smart speaker that started it all, the Amazon Echo’s latest form is more compact, stylish, and affordable than ever before. While the in-built Alexa speaker has leveled up in the latest Echo, the advantages of the latest iteration of the device go far beyond good looks and intelligence. Working with Amazon Prime Music, Spotify and other steaming music services, the Amazon Echo is now also an audio force to be reckoned with, boasting Dolby powered 360 degree sound which makes it more than a match for equivalent smart speaker systems on the market. 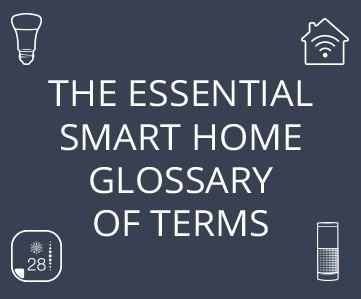 Bundle this all in with on-demand information and updates on everything from news and weather to traffic, combined with the fact that at it’s heart the Echo is arguably the ultimate smart home voice controller, and you have one of the best smart speakers on the market today. As the name suggests, the Amazon Echo Plus can really be thought of as the upgraded version pf the standard Echo, bringing a couple of powerful additional features to bear. 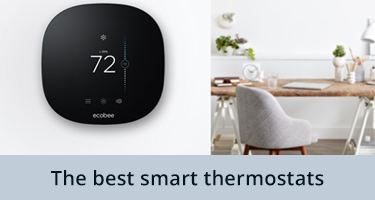 There are effectively two major functionality changes in the Echo Plus and the first of these is the integration of a built in Zigbee hub. 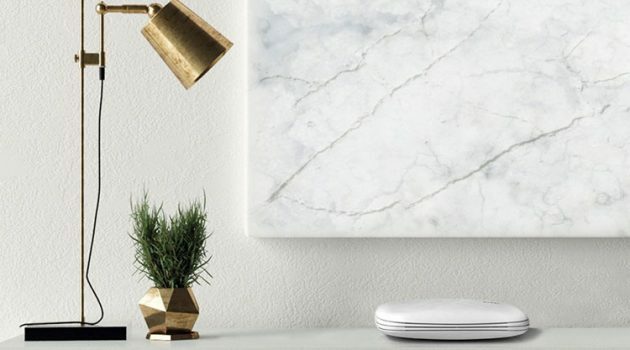 What this means is the Echo Plus is also going to serve as a dedicated smart home hub orchestrating all of the devices in your home as well as an Alexa-enabled voice controller, music player, and general question answerer. 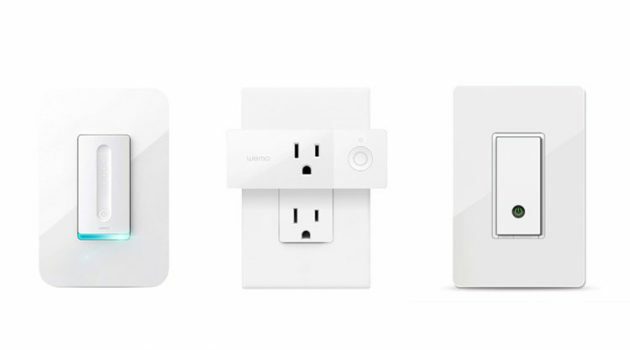 The big advantage of this home hub functionality is that the Echo Plus does away with the need for the additional ‘bridges’, standalone hub systems, and control apps that some smart home devices require (such as the Philips Hue range of smart lights) for operation. Secondly, the Echo Plus boasts powerful Dolby play audio output for 360 degree sound which delivers excellent listening quality whether you’re playing your favourite tracks or simply listening to the latest news updates. 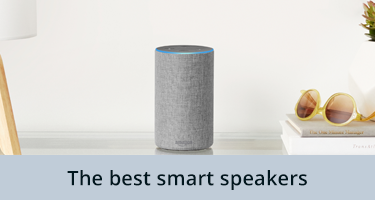 Of course on top of these features, the Echo Plus is ultimately still an Alexa-enabled smart speaker that will control your connected devices through voice input and help you with a whole range of question-answer tasks. The new and updated Echo Show has had a significant makeover from the older version and as part of the upgrade, feature a 10-inch touchscreen from the previous 7-inch version. 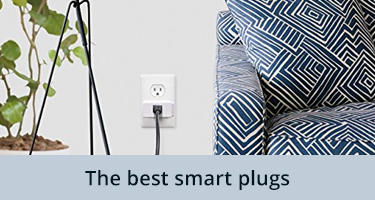 Like the Echo Plus, the Show has also benefited over its earlier iterations from the inclusion of an on-board smart hub, doing away with the need for dedicated hubs or third-party apps for your smart home devices. While it’s this visual display element that separates the Echo Show (and its sibling the Echo Spot) from other smart speakers with Alexa, the inclusion of Dolby powered premium speakers for delivering stereo sound, make the Show a decent contender against audio-only rivals. If you’re looking for an Alexa powered smart speaker that provides the ability for visual playback and display as well as voice control and admirable sound quality, then the Echo Show is still the way to go, particularly given its newly found role as integrated smart home hub. Effectively a miniature reflection of the Echo, the latest version of the Amazon Echo Dot has evolved to become much more than a satellite peripheral device for the ‘main event’ in your smart speaker lineup. The Dot started life as a scaled down sibling to the larger Alexa enabled smart speakers in Amazon’s lineup but has been completely redesigned with new looks and a much improved speaker setup. While you’re still going to get considerably better sound quality from the larger devices in the range (more space tends to equal better speakers), the Dot is still the leading smart speaker platform if you’re looking for a miniature device with Alex built in. 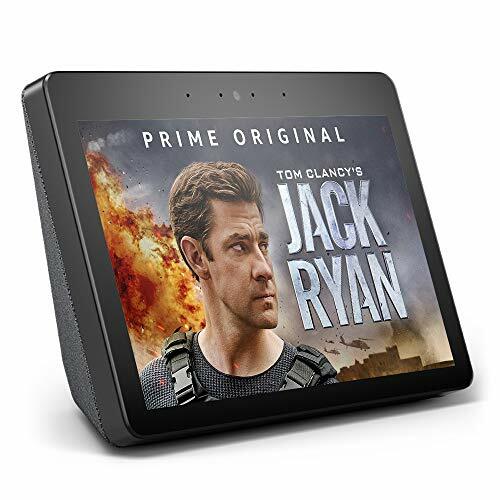 The 480 x 480 display is the central focus of the Echo Spot, a watered-down version of the Echo Show which is capable of displaying visual information on-screen as well as carrying out the standard Alexa smart speaker tasks. If you’re after an Alexa smart speaker for more in-depth visual activities, you’re probably going to be better suited forking out slightly more for the more fully-featured Echo Show which beats the spot on most metrics from screen size and audio output through to the ability to act as a standalone smart hub. 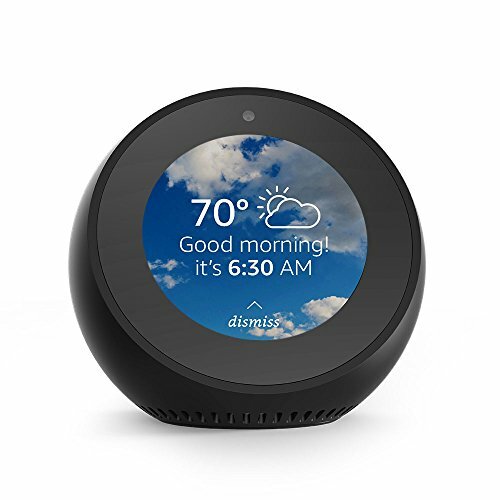 If however, you want a smart speaker which has Alexa built-in and provides the added bonus of displaying video calls, connected camera feeds (ideal for use as a smart baby monitor pairing), or for bringing up info visually on screen, then the Echo Spot is still a solid choice and is particularly well suited as an addition to a bedroom or kitchen setup. 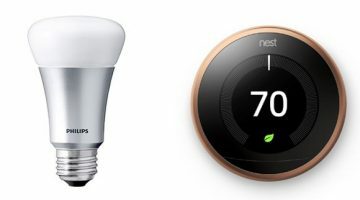 For a long time Amazon had the first and last word when it came to Alexa enabled devices, but in recent years, the growth of third party devices coming onto the market with Alexa built in as standard have changed the game when it comes to building an Alexa-powered smart home environment. The result of this evolution of the voice control smart home market is more than simply allowing Alexa to appear in a wider range of devices though. 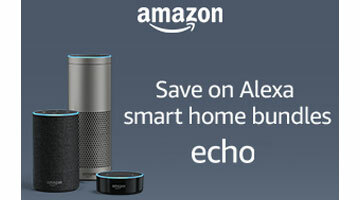 Brands with decades of experience in producing high quality speakers and audio systems are now able to integrate smart technical specs into their devices, with Alexa built-in representing the opportunity to get top-tier sound quality with one of the best smart home voice control systems included out of the box. The latest version of the Sonos One combines the power of of a standalone smart speaker from a leading audio brand, with the integrated intelligence of Alexa built in. 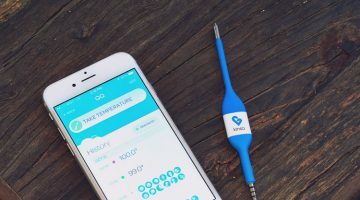 As a result of this, what you end up with is a wireless music platform that looks good, sounds better, and provides the ability to control all of your Alexa compatible tasks from one place. 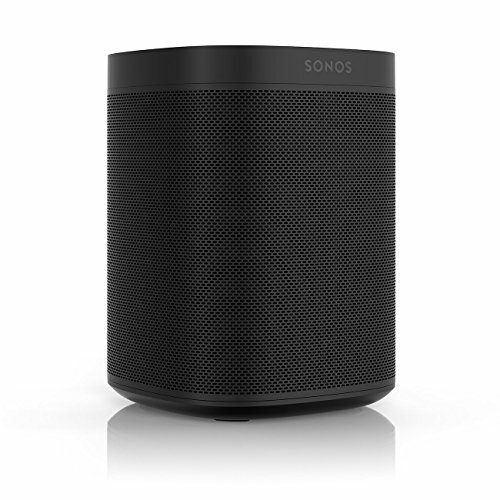 With the exception of a couple of Amazon-specific features such as Drop In and shopping, the Sonos One delivers the full functionality of the dedicated Echo devices but surpasses all of them when it comes to sound quality – unsurprising given the fact this is a speaker first, smart controller second. 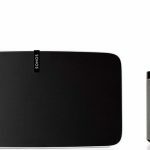 One of the great things about the Sonos One (and other wireless speakers from the brand) is the ability to wirelessly connect to other Sonos speakers in other rooms of the house meaning you can ask Alexa to change the song in the kitchen and have that request carry out in the living room. 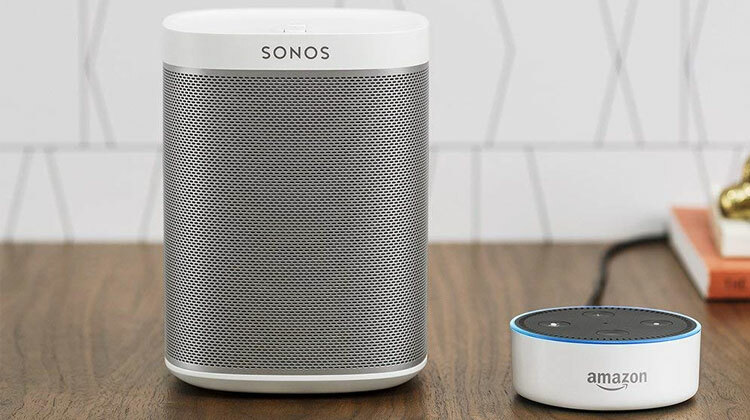 Connosieurs of sound are arguably going to want to go for a dedicated speaker with smart tech such as Alexa built in over one of Amazon’s Echo devices where audio quality is the second priority and if this is the case for you, then the Sonos One is one for the shortlist. 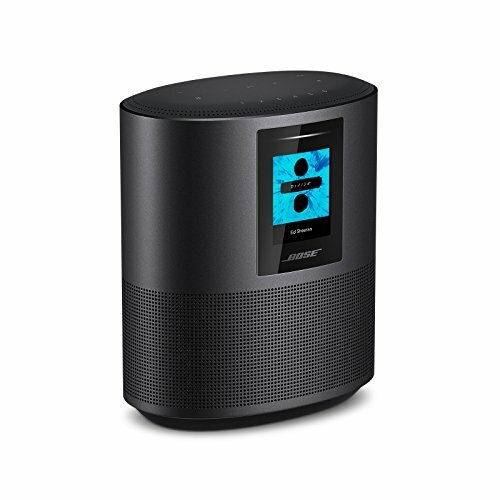 As with many of the best smart speakers, the Home Speaker 500 from Bose is designed with maximum integration for both audio playback and smart device control. 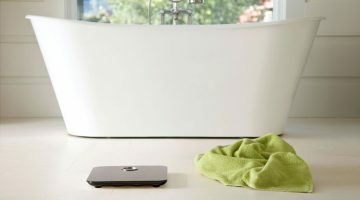 Alexa voice control provides the usual benefits you’d expect from a third-party speaker system, allowing intelligent assistance for everything from activating the lights in your home to getting recipe advice, and of course, playing music from compatible integrated WiFi services such as Amazon music. Bose are undoubtedly one of the best in the business when it comes to leading the field in audio quality and the Home Speaker 500 is no exception to this, delivering room filling stereo sound from a single yet powerful speaker. One of the particularly impressive feature of the Bose smart speaker is the inclusion of a custom-designed array of eight microphones which maximize voice pickup ability wherever you happen to be (and however loud the music) when asking Alexa to carry out a command. 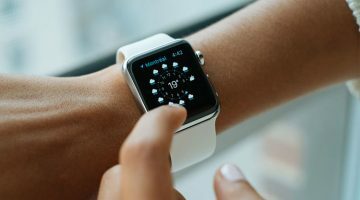 If you’re thinking of building a smart home entertainment system from scratch, then chances are you’re going to be looking to integrate voice control and high performance audio output into the mix. 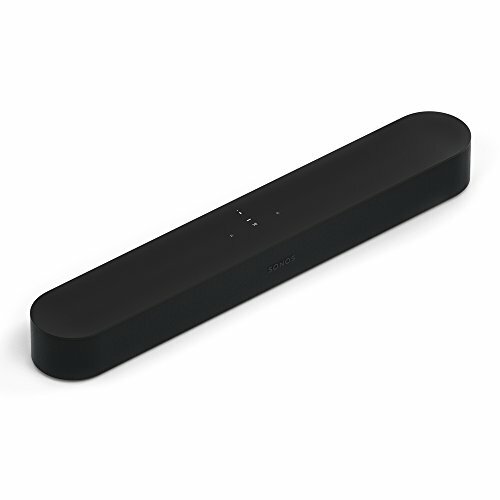 In a living room setting, a sound bar has long been one of the best options for projecting high quality, immersive sound to every corner and the Sonos Beam is quite simply, one of the best sound bars with Alexa built-in. One of the key features of the Beam is the inclusion of HDMI-ARC support which means you’ll be able to control your connected TV directly from the device. Home theater setups are awesome, the introduction of Alexa voice control just made them smart. 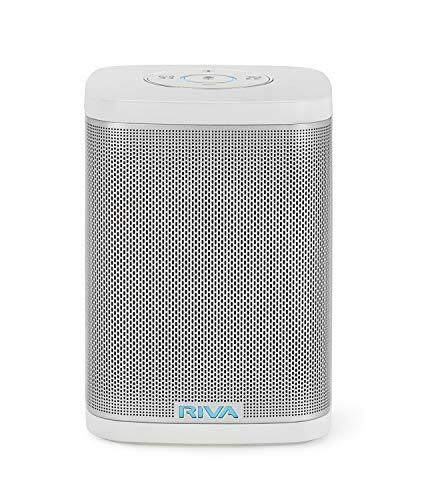 The RIVA Concert is a powerful wireless smart speaker which integrates premium sound quality with Alexa built-in for integrated intelligence and voice control. On the voice control front, RIVA’s device utilizes their patented ‘Trillium Audio’ technology to deliver stereo sound which excels across the audible range from crisp high notes through to deep bass and everything in between, without distortion. What this means on the ground is room-filling sound suitable for a multitude of listening scenarios. Having Alexa built in to the device means that the RIVA Concert will allow the complete management of your smart home devices and the full remit of question asking, while the integration of an in-built far field microphone array ensures that Alexa will hear you from across the room. Wireless speakers can fall short of the mark when it comes to portability, however the splash resistant design of the Concert alongside an optional battery which provides over 15 hours of play time means the device can literally be taken anywhere around the house – both inside and out. Alexa voice activated functionality is no longer relegated solely to Amazon’s devices and other smart speaker systems with many of the best smart home devices increasingly including Alexa on-board right out of the box. 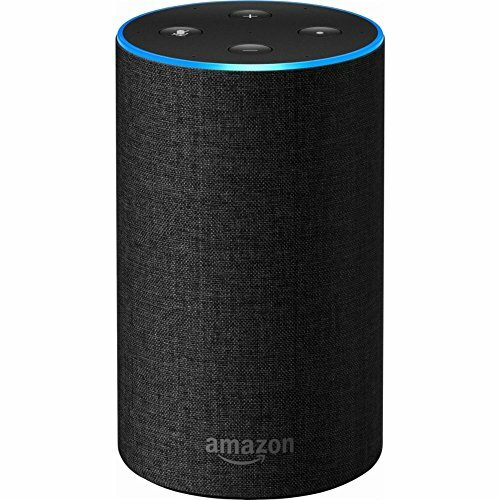 The most important difference between dedicated Alexa smart speaker systems and smart devices that just incorporate Alexa into the unit is undoubtedly one of audio output. 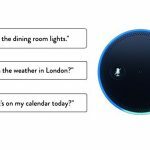 While it’s definitely true that there are some smart home devices with Alexa built-in which do a pretty decent job integrating sound output capability into their feature set, it still goes without saying that if you’re looking for an Alexa experience which focuses on the quality of audio playback, then a dedicated smart speaker system is still the way to go. 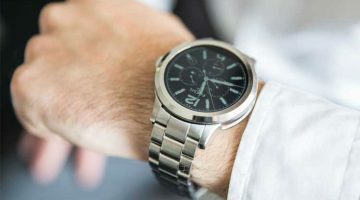 If audio quality isn’t the deal breaker however, going for an Alexa-enabled smart device is a great choice, particularly if you’re looking for a specific smart home capability (smoke detection, smart plug functionality etc), offering primary smart device functionality alongside the added bonus of Alexa voice control. 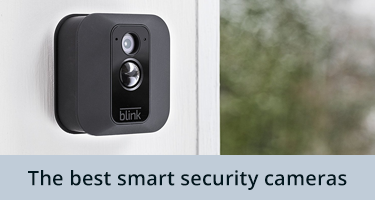 First Alert’s Onelink Safe & Sound combines a smart smoke and carbon monoxide detector with an Alexa-enabled smart speaker which is built into the device. Utilizing an omni-directional speaker, the Onelink Safe & Sound is actually well placed as a smart speaker system when fitted to the ceiling, providing audio output across a room as well as being optimally positioned to receive voice commands or questions for Alexa. 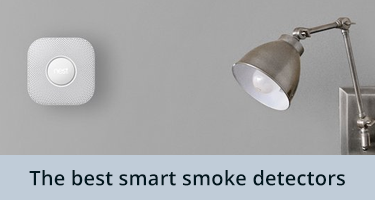 First and foremost of course, the Onelink is a smart smoke and carbon monoxide detector and as such, the priority (rightly so) is always going to be on monitoring the safety of the air quality in the home for signs of smoke or other harmful indicators. 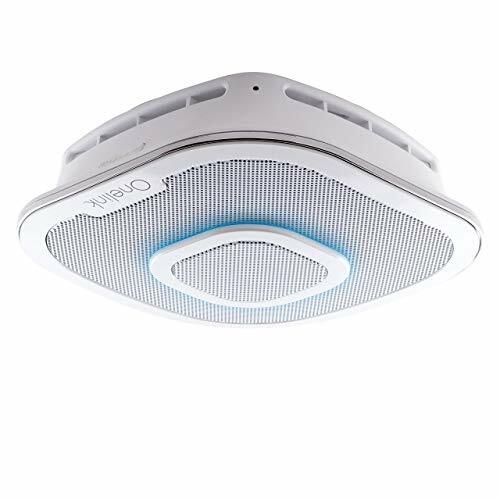 As with most of the best smart smoke detector and alarm systems, the Onelink Safe & Sound provides remote notifications to a connected device as well as tracking carbon monoxide levels, the device can even be used as a customized nightlight through the companion app.